"I am learning how to code, and right now it’s hard... I am definitely out of my comfort zone because Scratch is hard work, despite the fact that the little cat smiles ingratiatingly at me." "Students do video project allowing them to type things they would say if they were the explorer that they are studying. I then share the results in the spreadsheet and they will create a Chatter Pix as that explorer." Below is a link to a COLUMBUS DAY PRESENT -- a 37 minute optional video about how to create a Columbus Day game using the commands we have covered in the first few weeks. Below is a link to a COLUMBUS DAY PRESENT -- a 7 minute optional video about a very neat Google Add-On called SAVE AS DOC which allows you to take the RESPONSES from a SURVEY form and automatically move them into a friendly easy to read Google WP doc. 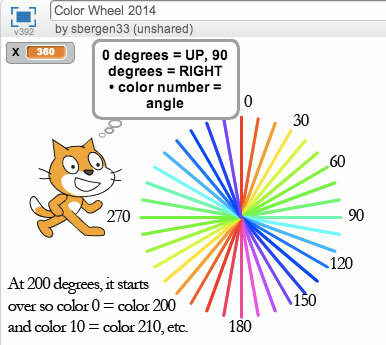 Two 3 minute samples re Book Creator from teachers who took this course last year in 2013. Below is a link to a COLUMBUS DAY PRESENT -- a 22 minute optional video about an incredibly cool app called Classkick which allows the teacher to distribute classwork to all the students with iPads in the class and then watch each of them via the teacher's iPad work on the classwork (and even interact with them).